A typical evening's training will include 10-15 minutes warm up of dynamic stretches and short exercises with a partner or a small group. We then leave the square and do some sprint, mixed speed or hill work on quiet roads or the playing field. We all help each other and faster people have to loop back to make sure steadier runners are not left behind! Bradworthy Runners meet at 6.30-7.30pm every Thursday in the square at Bradworthy. We cater for people of all abilities from beginners just wanting to start out, to those with lots more experience. We focus on fun and fitness and it is a great way to get to know people. Around 20 or more people usually train together. 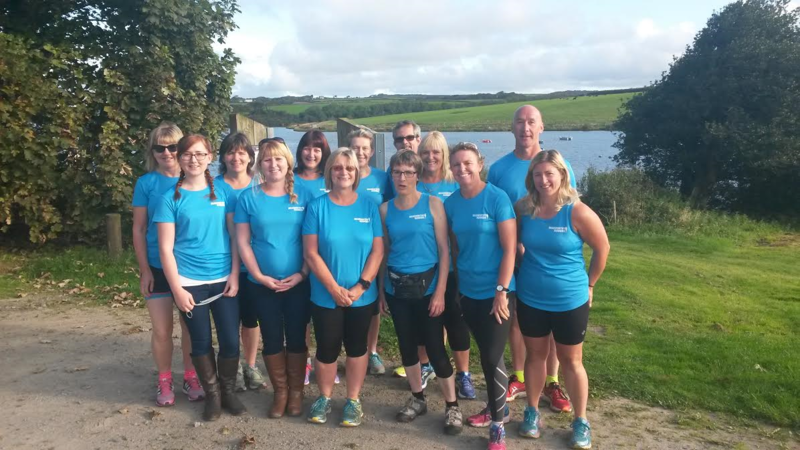 The group has met for just over 2 years and members have also participated in the local 5km parkrun at Tamar Lakes and various other local races. Occasionally we have an outing to somewhere like Bude, Westward Ho or the Tarka Trail to enjoy a different location and finish off with a drink a cheesy chips. 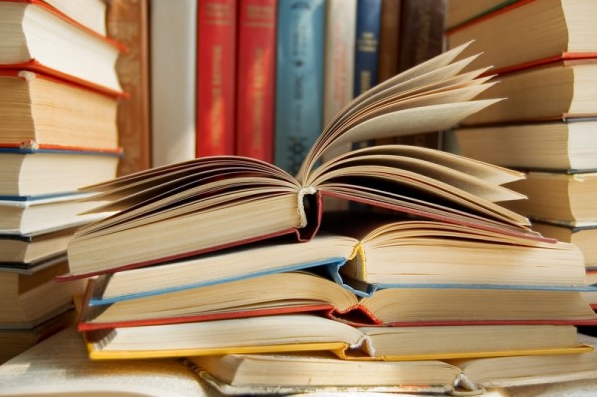 We are an informal friendly group who meet on a monthly basis, usually at the Bradworthy Inn but have also read books which have led us to an outing (which is always good!). Jamacia Inn by Daphne du Maurier meant a trip to The Jamacia Inn on Bodmin Moor (not as atmospheric as the book!). This year we are planning to read a less known Agatha Christie and visit her house in South Devon. We have read a real mixture of books, which is great as there have been ones we would not have picked ourselves but actually really enjoyed. We are part of the Devon Library scheme for book clubs. Every year they provide us with a very long list of titles, mostly fiction but also some non-fiction autobiographies, poetry, etc. We then choose twenty-four titles and then are sent one each month. We meet each month and discuss the book we have just read both the way it is written, the themes and the characters within. We then enjoy scoring the book out of 10 and sometimes have very differing views! Our current highest scorer is Rebecca by Daphne Du Maurier. In September, 2016, we all enjoyed a trip to the Appledore book festival. We read The Memoir of Iby Knill, a holocaust survivor, and were truly inspired when we heard the ninety-three year old talk.